What do you look for when shopping for a new bike? According to Peter Johnson, avid cyclist and founder of Grain Cycles, there are a few main principles for a bike that make it desirable to ride: weight, stiffness, comfort, fit and overall design. It is this set of principles that inspired Johnson to put his love for biking and woodworking together and build a wood bike. About two years ago, the 24-year-old woodworker began his role as an apprentice at his uncle Victor Marwin’s shop Against the Grain Woodworking in Niagara Falls, N.Y. A short time later, Johnson approached his uncle with an idea to create road bikes out of wood. “Victor was not very confident that it was going to turn into much. That made it even more of a challenge,” Johnson said. Marwin began working with wood as a little boy, building toys to play with when his parents couldn’t afford to buy him any. 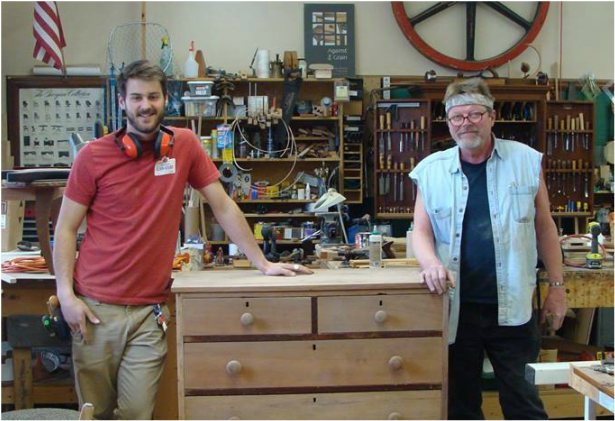 In the ’70s, he began working alongside the “best woodworkers in the world” at Kittinger Furniture Company. 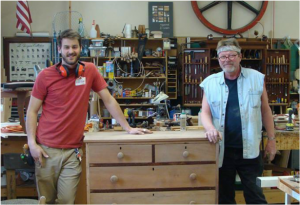 When his time there came to an end, and after a brief stint teaching the trade to high school students, he opened his own woodworking company. Not once in his over 40 years of experience and success did he think to create a bike. “It was pretty heavy and wasn’t right from the start, so I started over,” said Johnson, who originally planned on being an engineer after graduating from West Seneca West Senior High School in 2009. He didn’t like engineering and graduated from Binghamton University in 2013 with a Bachelor’s of Science in Archeology, but is using what he learned as an engineering student to combine his love of woodworking and cycling. What makes a wooden bike stand apart from the aluminum, carbon fiber or steel bikes? Take one out for a ride. Though wood weighs slightly more than the other materials used to create bikes, it has just as good stiffness and even better durability. As for lasting in the rain, “your parts will rust long before the wood is damaged by water,” Johnson guaranteed. Building a wood bike takes about 80 to 100 hours each, but the bikes are built to each customer’s specifications. Grain Cycles and Against the Grain Woodworking are located in the Niagara Art and Cultural Center on Pine Avenue in Niagara Falls. To learn more, visit www.graincycles.com as well as their Facebook and Instagram accounts. 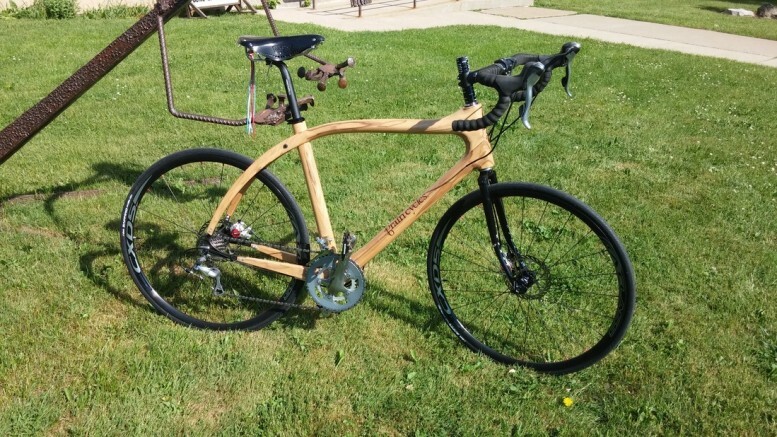 1 Comment on "Grain Cycles presents wooden bicycle alternative to cyclists"
To Victor and Peter, so very cool. I have had wooden boats from a young age and I must have a wooden inlaid bicycle.